An excellent source of nitrogen that is valuable to all crops. 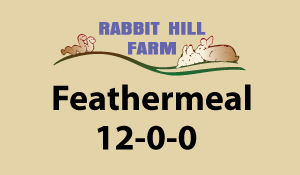 Feather Meal can be added to the compost pile. Directions: Apply 3 to 4 pounds per 100 squaer feet. Sprinkle lightly over area, work lightly into soil and water thoroughly.